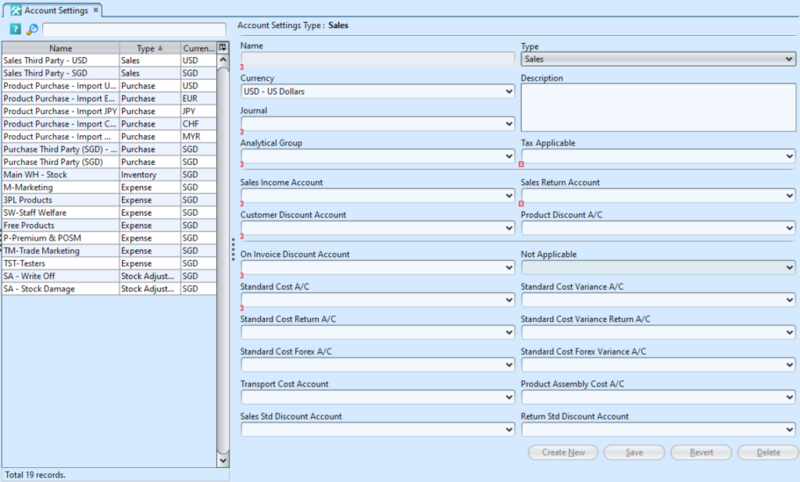 The Account Settings application allows the user to map the transactions type i.e. Sales, Inventory, Purchase, Expense, and Stock Adjustment to update the proper journals and accounts. 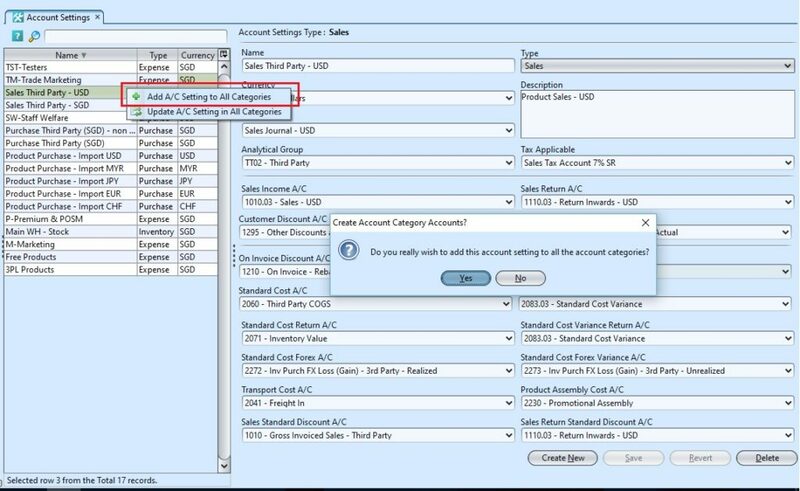 For Sales and Purchase types, user able to set default “Tax Applicable” to be applied automatically in Sales and Purchase transactions. 2. Fill up the information on right side of screen. For Sales and Purchase types, user able to set default “Tax Applicable” to be applied automatically in Sales and Purchase transactions. 4. User may add A/C setting to all categories by right click from the list on the left side of the screen. 3. Update A/C setting to all categories to apply the updates by right click from the list on the left side of the screen.